There is only one thing in this moment, only one thing which is ever present in this moment, and that one thing is your breath. According to me a loose definition of meditation is being with your breath. The more your mind stays with your breath, the longer you will be in a meditative state. Start with just 20 sec, try and stay with your breath. Then after three days increase it to 45 sec. Once you practise staying with your breath for 45 sec for another three days. You get the point right. Then, after a month you will find it easier to be in a meditative state for 15 minutes. Then build it from there. After three months, you will be in a state of peace, and this will spread to your day affairs. First of all meditation in itself is simple, but then people have difficulty in that also. So they found alternatives to meditation. If you are one of them, who can’t sit and meditate then connect with me. 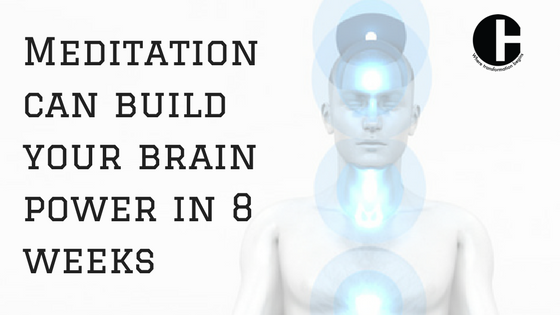 Is it possible to build brain power through meditation? Yes, now there is MRI study proving Meditation literally rebuilds the brains Gray matter in 8 weeks. Check it out !! This is a simple funny short video on the difference between Sympathy and Empathy. Meditation helps and builds empathy in you. This is David lynch talking about meditation. If you have a golf ball size consciousness, and you read a book you have golf ball size understanding. A golf ball size awareness, and when you wake up in the morning, you have a golf ball size wakefulness. The whole world is meditating. Are you ? According to me, TM or Transcendental meditation is a simple technique where you repeat a mantra, a root word and become one with it. But you don’t need to run around looking for the right kind of meditations. I did all the hardwork for you. These are my three best meditations here for free !! Go ahead and download them !! Thank you Venkat. You explained so nicely. Will listen again to understand the ego.